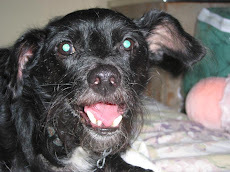 My Dog Says Woof! 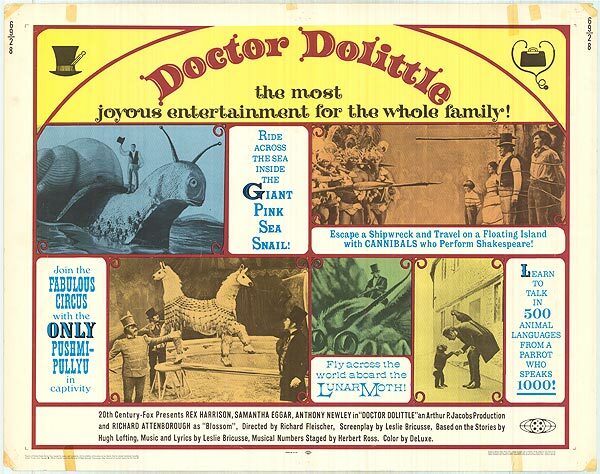 : Was Doctor Doolittle the first animal rights activist? Was Doctor Doolittle the first animal rights activist? My dog says he just watched the 1967 version of Doctor Doolittle and had no idea what a progressive animal rights message it had. The veterinarian becomes a vegetarian because he loves animals, liberates a sad seal from a circus, protects a fox from a hunter, and treats all animals with respect and kindness. Truly a special man, indeed! The best song in the film is called "Like Animals". It's from the scene where the doctor is sentenced to an insane asylum for talking to the animals, because, of course, they're not people--they're just animals! Although we tried to find a video clip for the blog, the only one we could find couldn't be embedded here due to copyright laws. However, take a look at the lyrics below. If you love animals like Doctor Doolittle did, you'll find the words quite enchanting and powerful! I do not understand the human race. It has so little love for creatures with a different face. Treating animals like people is no madness or disgrace. Animals treat us so very well. All we give them is hell! Do we ever think to praise them? No we don’t, and this dismays them. You can tell. No, no — that’s not what I mean. We humiliate and murder and confine them. Then we use it to malign them. When what we mean is “eating like a man”? "Well you know them, they “breed like rabbits”! Remarks like that really get my goat! Why don’t we say, “noble as a frog”? Or, why can’t we say, “wealthy as a hen”? Is the human race entirely mad? Well, it’s true, we do not live in a zoo. But man is an animal too.